LG has confirmed the availability of its Curved OLED TV in Germany, becoming the first TV maker to bring advanced OLED TV technology to European customers. The OLED TV will be sold at select retailers across the country starting this week and will roll out in other European markets in the fourth quarter. 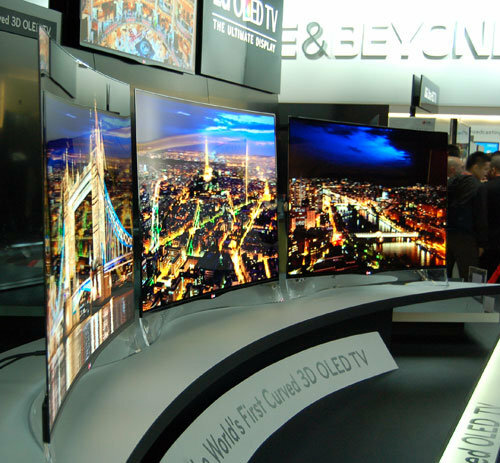 The OLED TV will be introduced to German customers at a special event at electronics retailer HIFI Profis in Frankfurt. The one-of-a-kind TV in Germany will carry a suggested price of €8,999. Prices in other European markets will be announced at launch time. Meanwhile, Samsung has announced that its first curved OLED TV, the S9C, will be available to buy in the UK from September 5th. Samsung has yet to disclose pricing details, but the set is priced at $10,000 (£6,500) in the US.